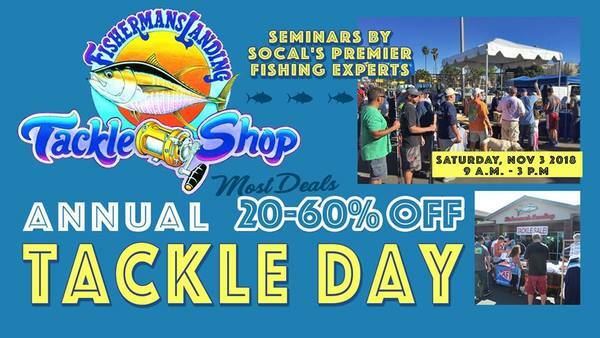 Tackle Days is coming to our parking lot on Saturday, November 3rd. The event starts at 9 AM and will continue until 3 PM. Be sure to come by and do some shopping we have some great offers being discounted between 20 to 60 percent. We will also have seminars from some of the best captains and anglers in the World.